Madam Mayo: Q & A with Lynn Downey: "Research Must Serve the Writer, Not the Other Way Around"
Q & A with Lynn Downey: "Research Must Serve the Writer, Not the Other Way Around"
Starting this year, every fourth Monday I post a Q & A with a fellow writer. This month's Q & A is with Lynn Downey, my fellow Women Writing the West member, apropos of the news that her book Life in a Lung Resort will be published next year by University of Oklahoma Press. Lynn Downey is a widely-published historian of the West, with degrees in history and library science from San Francisco State University and the University of California, Berkeley. She has published books and articles on the history of jeans, the treatment of tuberculosis in California, American art pottery, and the history of Arizona. She was the Historian for Levi Strauss & Co. in San Francisco for twenty-five years. 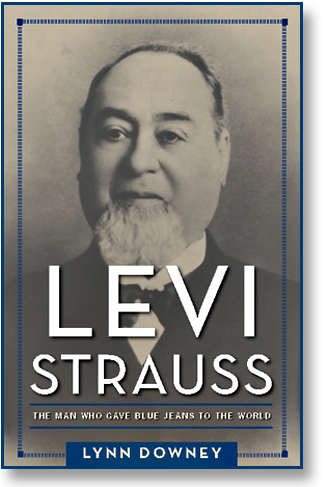 Her biography of the company’s founder, Levi Strauss: The Man Who Gave Blue Jeans to the World, was published by the University of Massachusetts Press in 2016, and won the 2017 Foreword Reviews silver INDIE award for Biography. Her next book, Life in a Lung Resort, is the history of an early 20th century women’s tuberculosis sanatorium in California where her grandmother received treatment in the 1920s. In 2012 Lynn received a Charles Donald O’Malley Short-Term Research Fellowship from the Special Collections Division of the David Geffen School of Medicine at the University of California, Los Angeles, where she studied the history of tuberculosis treatment. 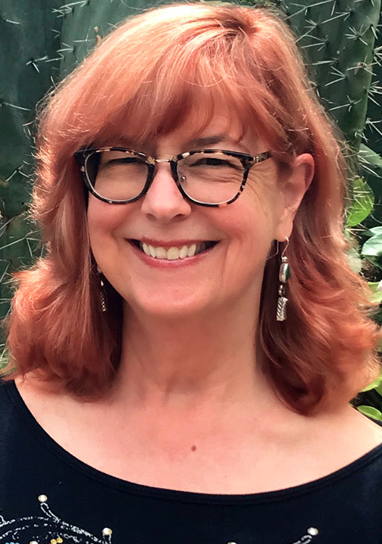 Lynn now works as a historical/archival consultant and exhibition writer, and is also a board member of the Frank Lloyd Wright Marin County Civic Center Conservancy. She lives in Sonoma County, California. C.M. MAYO: On organizing research: Any lessons learned from your previous book? And lessons learned from this one? Also, are there basic mistakes first time writers oftentimes make in organizing their research? LYNN DOWNEY: Organizing research materials -- whether for fiction or non-fiction -- is a very personal thing. And I think it depends on your life and educational experience. I'm 63 years old, and I loved researching and writing history from my very first term paper in the 5th grade. I'm also an archivist, so I like to keep paper files for the most part, and that has worked for me on all the books I've written. My last book, Levi Strauss: The Man Who Gave Blue Jeans to the World, posed the greatest challenge because it was the longest and most detailed book I've ever written. I used to organize my research materials by chapter-- just throw all notes, copies of articles, etc. into files by chapter. But that ended up being cumbersome. So I started keeping files by subject or topic, and also kept a running list of what topics would go into each chapter. I could then put my hands on a subject easily. But again, when it comes to research, I don't know of anything first time writers could do that would be called a "mistake." The best way to organize research is to find what works for you. That might mean doing down a few paths that lead nowhere -- like I did -- but as long as you find a method that helps you write, that's the important thing. Research must serve the writer, not the other way around. 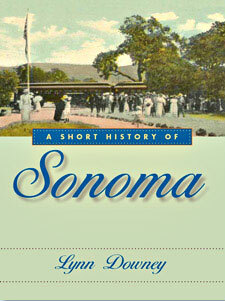 LYNN DOWNEY: My book is a history of the Arequipa tuberculosis sanatorium for women in northern California, where my grandmother was treated in the 1920s. It was in business from 1911-1957. In addition to doing a number of oral history interviews with former patients, I read a lot of books about the history of TB treatment, how a cure was finally found, and about San Francisco history. The sanatorium's founder was a male doctor named Philip King Brown but his mother was Dr. Charlotte Brown, one of San Francisco's first female surgeons. She taught him to value women's health, and most of the doctors who treated the patients at Arequipa were women. I did read some extraordinary books to prepare to write. C.M. MAYO: Can you talk about your working library? C.M. MAYO: You have been a consistently productive writer for many years. How has the digital revolution affected your writing? Specifically, has it become more challenging to stay focused with the siren calls of email, texting, blogs, online newspapers and magazines, Facebook, Twitter, and such? If so, do you have some tips and tricks you might be able to share? LYNN DOWNEY: ​The best thing about the digital revolution for a historian like me is the availability of historic newspapers online. Sites like Newspapers.com, Genealogybank.com, and the Library of Congress Chronicling America site have fully searchable databases. These are the only places that have a "siren call" for me. I have spent many hours in my pajamas in front of my computer following a research rabbit hole on these sites! The other digital distractions really don't get to me. Maybe it's because I'm older and did not grow up with the instant availability of communication and information that we have now. After years of doing research and writing I am able to focus easily and not get distracted. I really don't know how to advise someone how to do that, though. Like research, finding a method to stay on track is very personal. Some people I know keep a timer by their computer, and they can't check email or social media until they hear the bell after an hour is up. There's no single fix for what society throws at us, and what society expects us to do. Which I think is part of the problem. We're supposed to be constantly checking up on everyone who wants to communicate with us. But my work and my time are important. I'll check email now and then while I'm working, and if there are no emergencies I go back to what I've been working on. C.M. MAYO: Did you experience any blocks while writing this book, and if so, how did you break through them? C.M. MAYO: Back to a digital question. At what point, if any, were you working on paper? Was working on paper necessary for you, or problematic? ​LYNN DOWNEY: Do you mean writing longhand instead of on the computer? I did both with this book as well as all my others. Sometimes when I couldn't get a topic to gel while writing on my laptop, I would switch to a pen and paper. This uses a completely different part of the brain and it always works. Once I was really stuck trying to get a difficult chapter started. I live 20 minutes from the ranch where writer Jack London lived (it's now a State Park). So I went to the ranch, sat on a picnic table near London's house, took out a pad of paper and a pen and started to write. Forty-five minutes later I had my chapter opening and a good start on the rest of it. C.M. MAYO: What enticed you to join Women Writing the West?